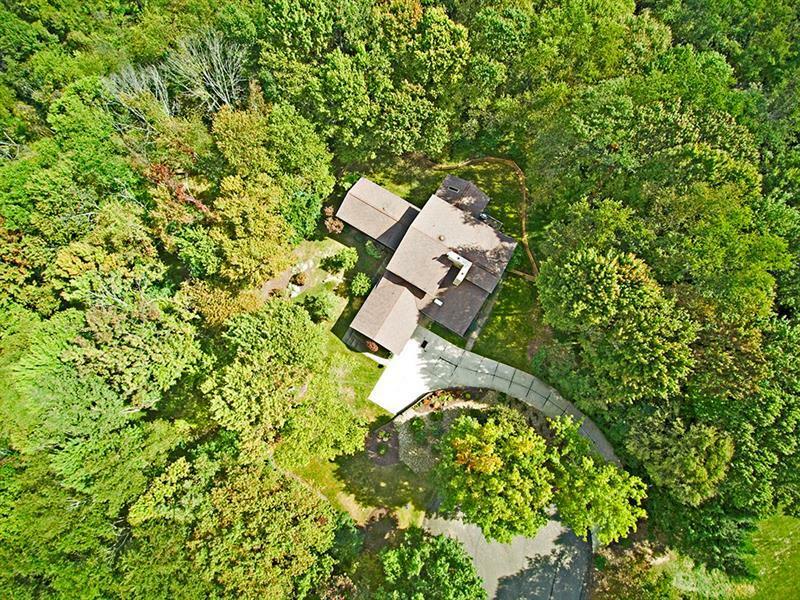 Sprawling contemporary retreat on app 3.8+ acres near Bike Trail & close to Rt 19. 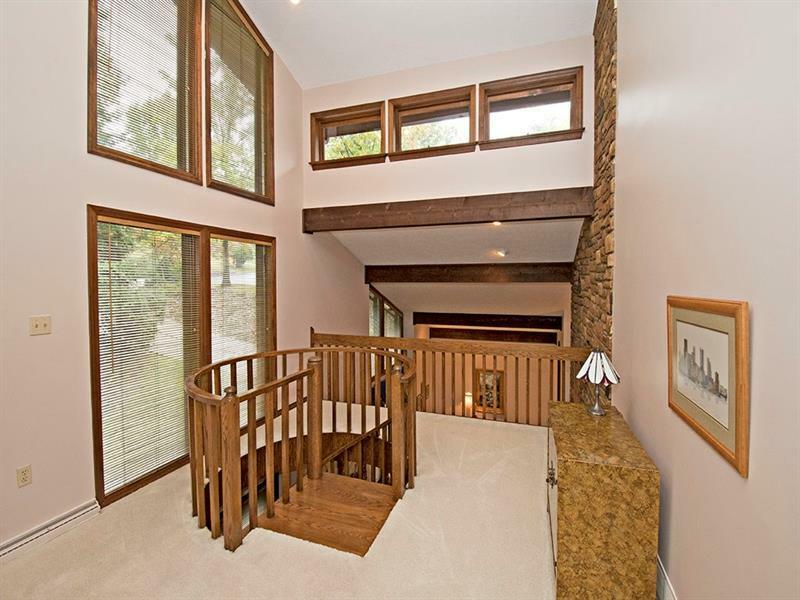 Elegant formal LR & DR flank the grand foyer w/ its post-modern inspired main staircase & 2 st stone accent wall. Spacious eat-in kitchen boasts well executed updates incl. 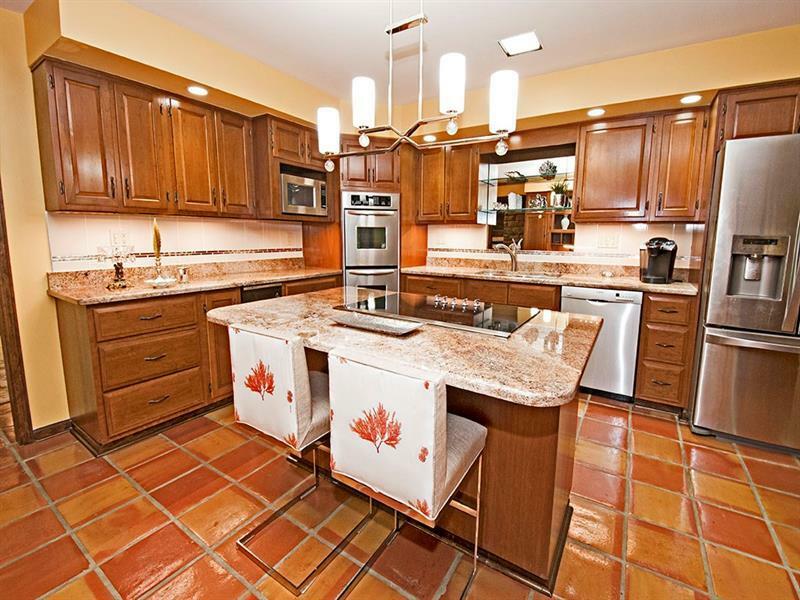 double granite islands, stainless appliance & porcelain & stainless accented backsplash. FR w/gas fireplace & wet bar & 1st flr. den/office. 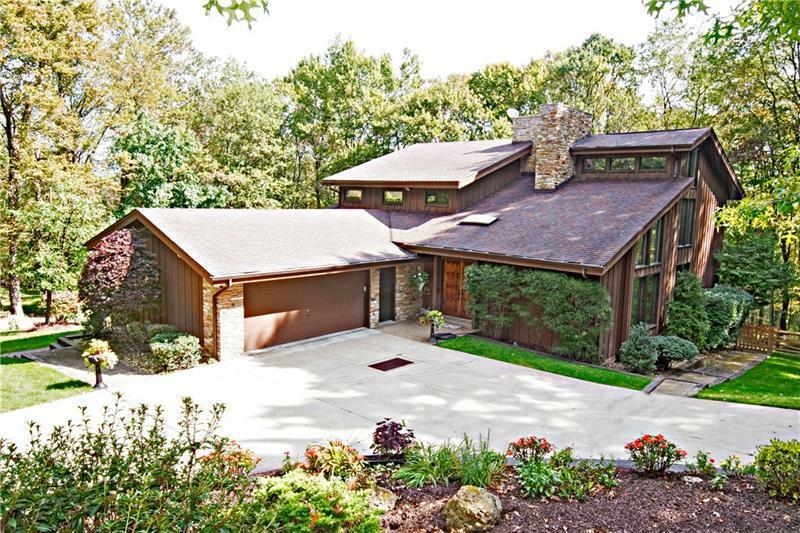 400+ square foot sun rm w/wood stained Pella windows offers 3 sided views & delights w/a heated floor. French drslead to deck. Huge LL w/ 8 ft ceilings, guest rm, full bath & exercise rm plus 11 ft granite topped bar. Reg. sized indoor racquetball/ basketball/sport crt Bedms are spacious w/recessed/LED lighting & lg. closets. Hall bath is updated w/porcelain tile floor & glass enclosed tub/shower. Suite w/12x10 foot walk in closet & lg. en suite bath. 1st flr laundry, heated storage room w/overhead door, oversized concrete drive professional landscaping & security s/m. Architect Gunther Kairer.